We have pigskin picks to vinify your Super Sunday, but first a few food facts. Just two days after Go Red For Women, the American Heart Association's campaign to raise awareness about women and heart disease comes XLV, the super-snackdown day of the year. Incredibly, the amount of food Americans will tackle this Super Bowl Sunday may gut-bust Thanksgiving Day, the defending pig-out champion. The average fan is set to scarf 1,200 calories and 50 grams of fat from game day snacking alone – and that doesn't include any regular meals. Unless you plan to walk around a football field for three hours, no amount of fist-pumping and jump-up cheering is going to burn off those calories. Backfield in motion, baby, and bring out the tape. Or, as comedienne Elaine Boosler would say, why not just rub all that stuff right into your thighs? Riesling racks up huge yardage for how well it goes with a wide range of foods, especially spicy dishes, sausage, salads and smoked fish. Many Rieslings are low-alcohol too, to help keep guests safe and under-the-limit. Costco has a German Riesling now that's only 7.5%. Look for Dr L by Loosen Brothers in the tall, teal screw-cap bottle, around $10 at Dan's Wine Shop and Trader Joe's. 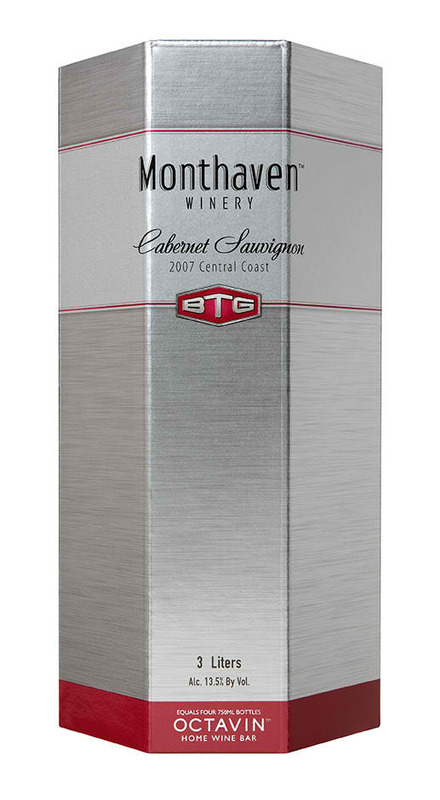 The space-saving eco-packaging by Octavin Home Wine Bar holds three liters, equal to four bottles of wine. With a convenient pour spout, these tasty, good quality wines will douse a couch-full of thirsty fans. Find them at Albertsons and Ralphs grocers, better still when they're on sale. Silver Birch Sauvignon Blanc is refreshing and balanced, without too much grassiness for game day foods. 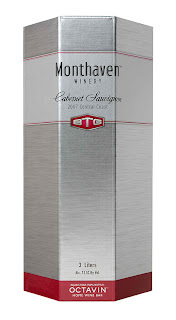 Kickoff reds worth a runback are the low-tannin Monthaven Cabernet Sauvignon (find the 2007 if you can) or Big House Red, sometimes also at Costco. If you think real men don't drink pink, food-friendly rosé will rock your manly man's playbook. Go with New World rosés made from heartier red grapes instead of more delicate French and Provençal rosé styles. Give it a good chill and watch for conversions. Try screw-capped Tapiz Rosé of Malbec from Argentina (BevMo! ), Barnard Griffin Rosé of Sangiovese from Oregon or Mulderbosch Rosé of Cabernet Sauvignon from South Africa (World Market Cost Plus). Finally, if your heart beats for healthier Super Bowl recipes, score with the roasted red pepper dip and others here, more recipes and substitution ideas here and funny but real food safety tips from Uncle Sam here.